WHOLE WORLD Water, a new social enterprise set to launch on World Water Day, March 22, 2013, announced today its sustainable business model that partners with the hospitality and tourism industry to collectively address one of the world’s most pressing issues – access to safe and clean water. Leveraging the incredible potential of the hospitality and tourism industry to spur global change, the model encourages spas, hotels, resorts and restaurants to filter, bottle and sell their own water, and contribute 10 percent of the proceeds to the WHOLE WORLD Water Fund; a fund benefiting clean and safe water programs around the world. 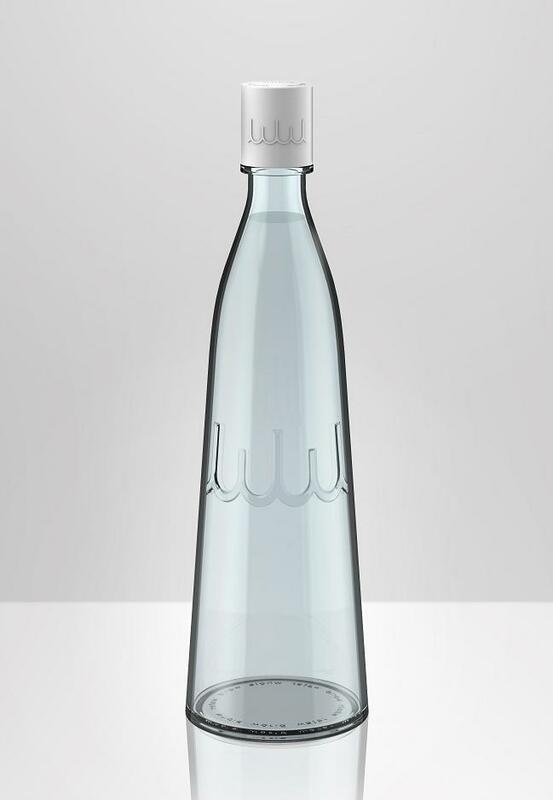 An exclusive bottle created by world renowned product designer Yves Behar and fuseproject, will serve as the recognizable icon for the campaign, and ClimateCare, pioneers in climate and development projects, and results based financing, will manage the Fund. “This type of integrated initiative – that delivers positive business, environmental and development outcomes – is the essence of what ClimateCare is about and we are delighted to be involved with it” explains ClimateCare Director, Edward Hanrahan. “The United Nations has proclaimed 2013 the Year of International Water Cooperation to raise awareness of the fact that nearly 1 billion people do not have access to safe and clean drinking water. Working together with the hospitality and tourism industry, we can see this issue solved within our lifetime,” said Jenifer Willig co-founder of WHOLE WORLD Water. Industry leaders Soneva, Six Senses, Virgin Limited Edition, Virgin Hotels, Banyan Tree, Auberge du Soleil, Tao Restaurant Group, The Ritz-Carlton Charlotte, The Ritz-Carlton Lake Tahoe, Oberoi Hotels and Resorts, Dusit Hotels and Resorts, JetWing Hotels, and The Ranch at Live Oak Malibu have joined the campaign. WHOLE WORLD Water is currently accepting new members to join its existing group of industry leaders. Through this one simple change, the industry stands to benefit across its triple bottom-line: people, planet, and profits. Industry members are invited to visit www.wholeworldwater.co to learn more about the initiative, and to become a member of WHOLE WORLD Water. Today, 780 million people worldwide are without access to clean and safe drinking water, and an estimated 2.4 billion lack access to basic sanitation. WHOLE WORLD Water members seek to prove that social, environmental and economic progress are not mutually exclusive. Developed to end the global water and sanitation crisis, WHOLE WORLD Water works to engage the hospitality and tourism industry to filter, bottle, and sell its own water, and contribute 10% of the proceeds to the WHOLE WORLD Water Fund. Founded in 2012 by award winning documentary filmmaker Karena Albers, and Jenifer Willig, former CEO of the (RED) campaign, the core belief of WHOLE WORLD Water is that if it is not good for business, it is simply not sustainable. For more information, please visit www.wholeworldwater.co, and join the conversation on Twitter @WHOLEWORLDWater. The WHOLE WORLD Water Fund was established to radically increase resources to provide access to clean and safe water to communities around the world. Designed specifically for clean and safe water investments, the Fund can be accessed by organizations, charities and social enterprises focused on clean and safe drinking water issues. By investing in projects with the potential to bring a return through carbon revenues and results based financing, the Fund enables revenues to be recycled back into the fund and deployed again. ClimateCare, pioneers in climate and development projects, and results based financing, are managing the WHOLE WORLD Water Fund. Trustees of the Fund include Sonu Shivdasani, Sir Jonathon Porritt and Edward Hanrahan. Board Advisors include: Sir Richard Branson, David de Rothschild, Yves Behar, Graham Hill, Ben Elliot and Shekhar Kapur. This entry was posted in News and tagged CSR, health, safe water, sustainability, water on by .